Parents! Meet Elyse, our nanny of the month for August 2018! 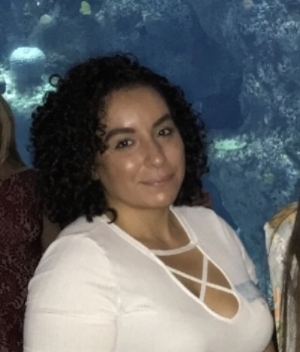 We placed Elyse with a family earlier this year in a full time nanny position and the family is now relocating so we would love to match Elyse with another family! Elyse has a background as a pediatric nurse and as a nanny so she is very well qualified to care for your little ones! She is looking for a full or part time position to begin immediately! Read more below to learn more about our nanny of the month, Elyse! What part of Charleston do you live in? I live in the West Ashley area but am willing to travel to all areas of town! Do you have a favorite age and why? I love all ages for different reasons but if I had to pick I would say 2-4 they are so cute and say the funniest things. Funniest nanny moment: Watching one of my nanny kids breastfeed his teddy bear to imitate his mom breastfeeding their baby. Favorite thing about being a nanny: Being active with kids and seeing them happy and having fun! What is your strongest quality as a nanny? I am a very patient person and am a kid at heart. I also can teach kids Spanish which most parents love! Favorite place to bring children on an outing in Charleston: Charleston County Parks are my favorite! What do you like to do in your free time? I love to workout and stay active and spend time with family and friends. When are you available to start a new position? As soon as I find the right fit!